Shelly Rudolph is a maker of soul music. Growing up in Eugene, Oregon, the freedom, intimacy and beauty of jazz & blues captured her spirit and unleashed a powerful and soul-filled voice. Inspired by the likes of Billie Holiday, Nina Simone, Aretha Franklin, Shelly quickly went from listener to performer sharing the stage with local favorites Don Latarski, Emmett Williams and Warren Rand and soon had her own weekly gig at Jo Federigo’s, the hottest jazz club in town. She followed musical pursuits to New York City, Portland and Los Angeles where she began to write and perform her own material as well as unfold her interpretations of favorite jazz standards and soul ballads. Her classic yet fresh sound - sweet and sultry, subtle and rich – has garnered invitations to tour Japan, Korea and the West Indies and made her a feature in jazz venues on both coasts of the U.S. 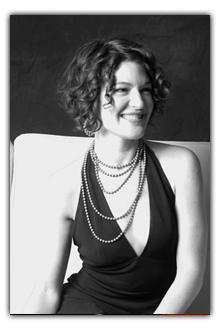 Since moving back home to the Northwest, Shelly has received the warmest of welcomes and has been thrilled to play regularly with some of Portland’s great musical talents including Tom Grant, Ron Steen, Ramsey Embick, Scott Steed (of Diane Schurr) and Phil Baker (of Pink Martini) as well as New Orleans native and recent Oregonian, Devin Phillips.